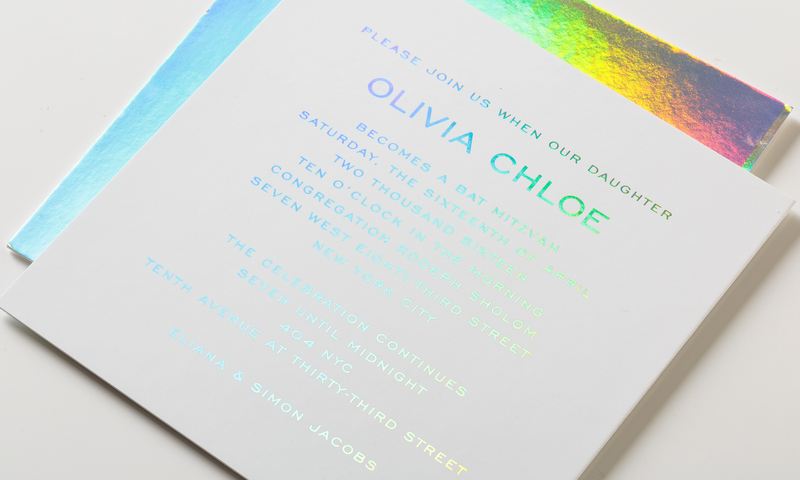 Rainbow reflective foil on glossy white paper turns this clean, simple invitation into a stunner. 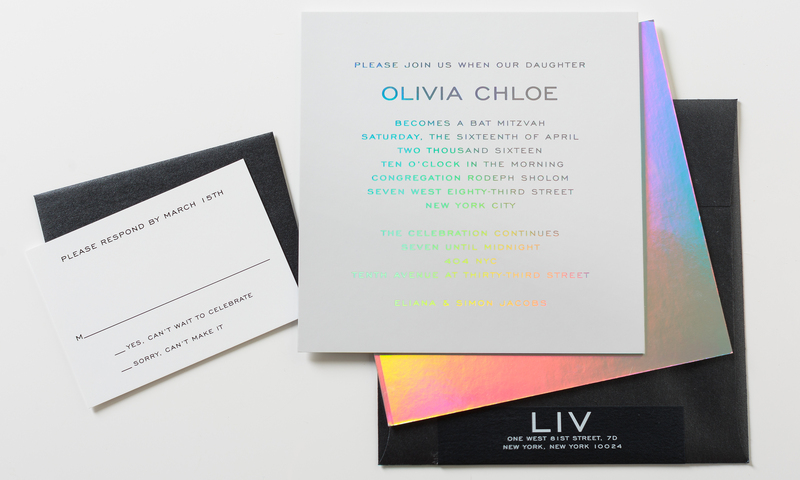 Black shimmer invitations and wrap around labels complete the set. Colors, paper and typography can be customized to fit your style.